Rebecca and Jason know how to throw a wedding. Imagine this, 150 of your closest family and friends all boards a whale watching boat in Southeast Alaska to go North to get married in Haines, Alaska!! On the way you get to see breathtaking scenery, and whales feeding!!! How cool is that! 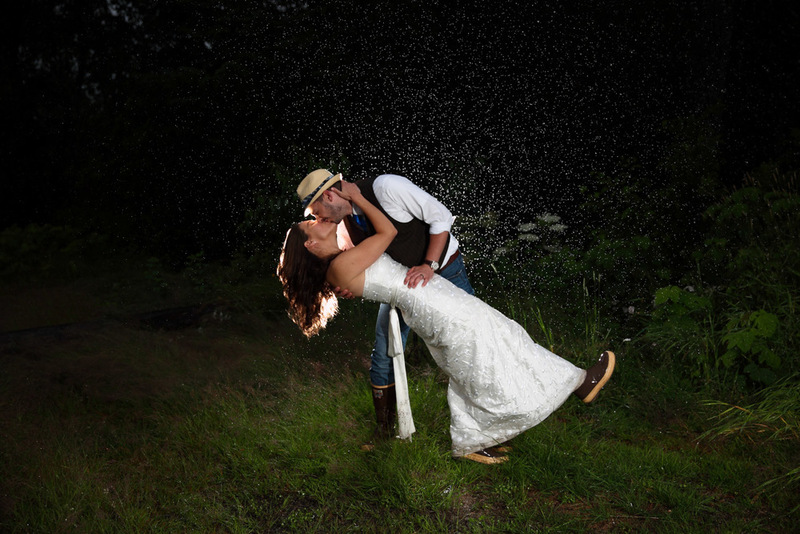 We stayed in Haines for 2 days, and during our Bridal Session the next day we went to the Kroschel Wildlife Center. 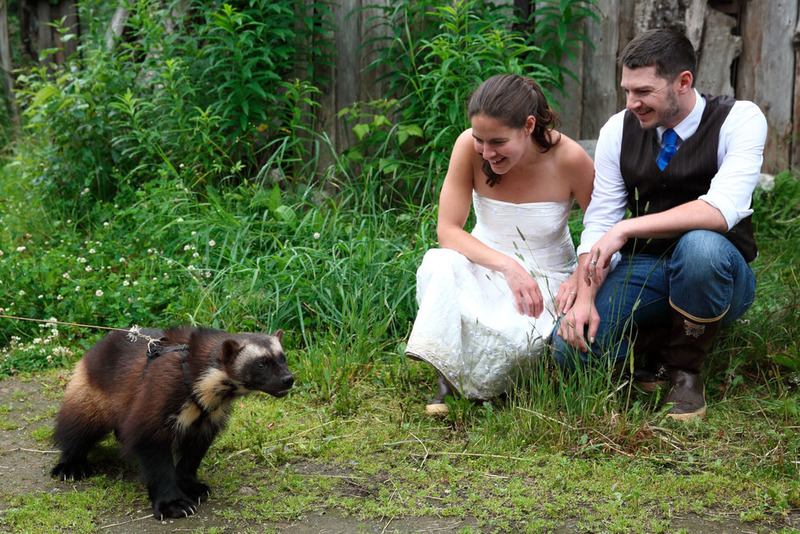 Now I have always wanted to get a photo of a bride and a bear, but never would I have ever thought I would get a photo of a bride and a wolverine!